We are please to inform that Hap Seng Star Sdn. Bhd would like to invite you participates in Celebrate in Style with Hap Seng Star on 23rd August, 2015 (Sunday). 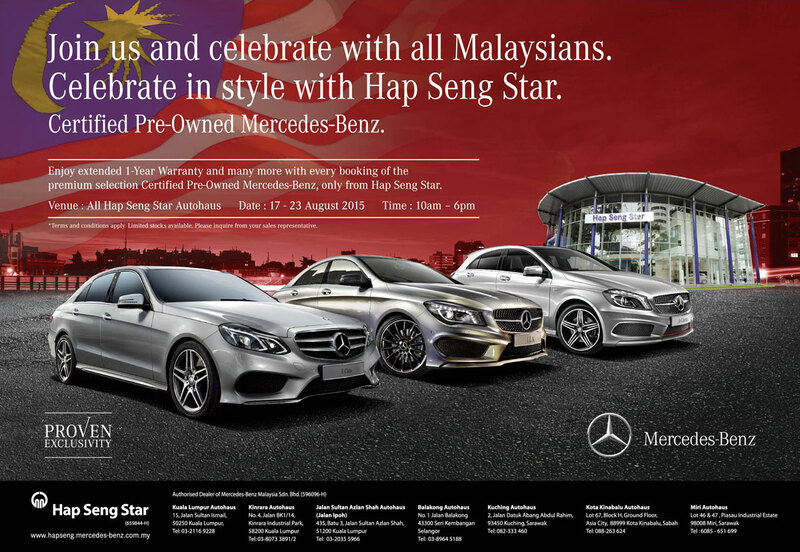 Come to enjoy extended 1-year Warranty and many more with every booking of the star premium selection certified Pre-Owned Mercedes-Benz, only from Hap Seng Star.